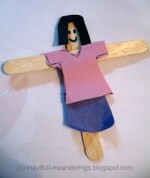 We had a crazy puppet mania at home for artsy-craftsy this month. I could click the pics just today. 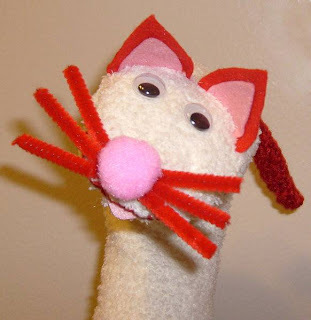 Here’s an easy way to make a sock puppet. Lil P lovesssssssssssssss it!! An old dark colored sock. Cut an M from the red card sheet for the fangs. Stick it on as shown. Paste the 2 eyes and your friendly snake is ready to play. Lil p’s friend was initally scared of it .. n lil p said.. don’t be scared. This is a good snake. It won’t bite.. only gives kissie.. n proceeded to fondle his cheek with the puppet. 🙂 I’m sure ur kid will love it too!! We made 1 for each of the kid in our building. 5 year olds could make it all on their own. Lil p has now placed the sock back in her daddy’s cupboard ( fangs et. all) 😉 waiting for the fun tomorrow. 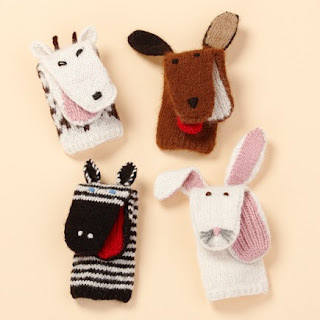 You can try other sock puppets like these. We also made a few spoon puppets inspired by art’s idea. we did this and “scared” anush’s father! 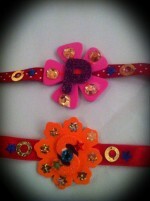 @Art: Yup we did too! 🙂 small joys! Yikes! this was a really old post when I didn’t really notice that the instructions were vague. 1. Slide the sock over your hand completely. 2. Hold your hand in this position while holding the closed end of the sock in grip.